Peel the apples and use a melon baller to make apple balls. 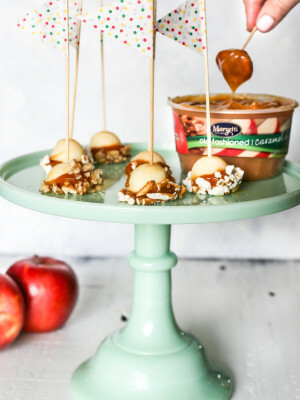 Stick a skewer in each apple ball and arrange on a plate. Serve with a bowl of caramel and bowls of crushed pretzels, popcorn, and walnuts. 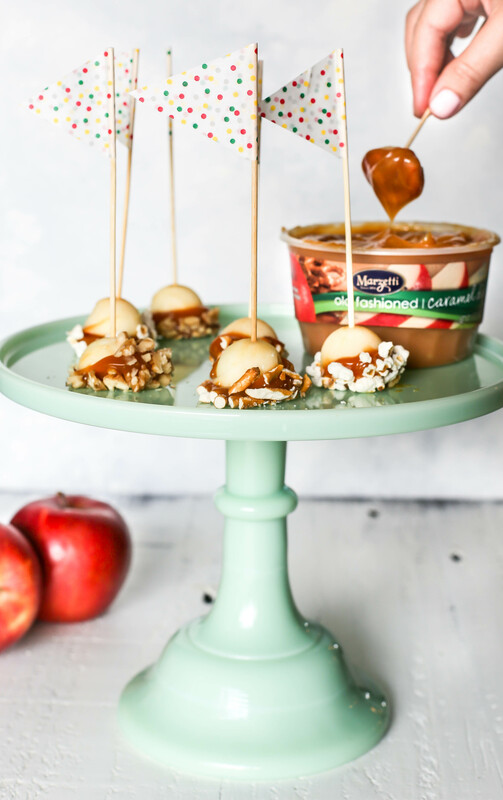 Dip the apple balls in the caramel and toppings and enjoy!